The Hammerhead is a Machine Gun that is acquired through the Machine Gun Frame offered by Ada-1. This weapon is obtained by completing the Volundr Forge. The Hammerhead deals VOID damage and is equippable in the power weapon slot. If you need assistance completing this weapon frame the Guardian.Services team is here to help! This weapon drops with random rolls. Powerful Machine Gun Frame will reward a powerful Hammerhead drop with random rolls. Every week Ada-1 will offer you 3 different Powerful Weapon Frames that you can purchase with a Ballistics Log. To get Ballistics Log you have to complete Ada-1’s Weekly Bounties. Once you have purchased the Machine Gun Frame you will need to complete 5 quest steps to complete the Frame. Obtain Weapon Core, Collect 25 Compound Ether. Get 15 Power Weapon multikills, Defeat 50 Hive with a Power Weapon. Complete Volundr Forge. We will also collect the Black Armory Key from Volundr Forge if you need it. Need help getting Ballistics Logs and Modulus Reports? Our team at Guardian.Services are ready to help you! You can find our Ada-1 service here. Machine Gun Frame will reward a legendary Hammerhead drop with random rolls. Once you have completed a Powerful Machine Gun Frame, Ada-1 will have a Machine Gun Frame available to buy for 6 Modulus Reports. You get Modulus Reports from doing Ada-1 Daily Bounties and by completing Forges. Once you have the Machine Gun Frame you will need to complete 3 quest steps. This is a repeatable service. You can keep purchasing the Machine Gun Frame from Ada-1 until you get the perfect roll you are looking for. You must have completed the Powerful Machine Gun Frame before you are able to access the Machine Gun Frame for Modulus reports. This is not a powerful reward. This drops as a normal legendary with random rolls. 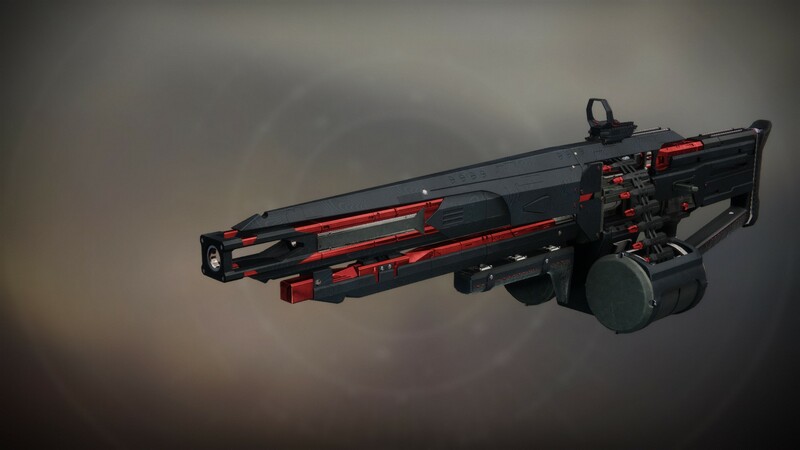 We will grind the Modulus Reports needed and get the Black Armory Key in Volundr Forge for you. Must have the Annual Pass. Must be minimum 600+ Power Level. This service is done by account recovery only. Our team will sign onto your profile and complete the service. Make sure you fill out our checkout form with the necessary details. We will send you a text and email before signing on. You must have the Annual Pass. We have the Annual Pass licenses on our platforms if you gameshare with a friend for yours. What level do I have to be? You must be 600+ Power level. We are a completely legitimate website and have accumulated plenty of feedback from satisfied customers. Check out our feedback section. The bottom line is we will need your trust to do an account recovery, and all we can do is prove our history with reviews. You are more than welcome to change your password the moment we tell you that your order is completed.